Liquidity Services has been a strategic partner for the last 10 years supporting the disposal of our old truck assets. Over the years the Liquidity Services team has continued to find innovative solutions to drive value in our asset disposition strategy. They are aggressive, creative, and collaborative with a tremendous expertise in asset management and disposal. Most importantly when they commit to executing a strategy they work very hard to pull it off and exceed all of our expectations. Our client is a leading food company. 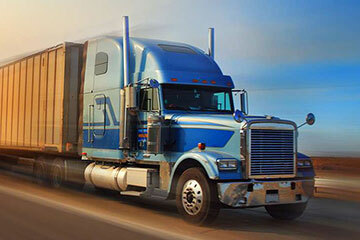 To efficiently distribute its products, the company operates one of the largest fleets in the nation. Like any organization with a large fleet, our client faces the challenge of surplus vehicles. If these vehicles have been properly maintained, they can still bring in a high recovery value. Opportunities and challenges in our client’s industry – such as demand fluctuations, vehicle innovations, and environmental regulations – can also create surplus vehicles and the need to sell them. Although our client recognized the opportunity presented by surplus vehicles, it lacked a consistent company-wide process to maximize return for them. The client’s process and resources for surplus vehicle management varied by site, an approach that left value on the table. Since surplus vehicle management is not a core competency for our client, it lacked the time and resources required to implement a high-performing program. So the company turned to Liquidity Services. In 2003, the client engaged Liquidity Services to maximize value for its surplus vehicles at all of its sites across the U.S., a partnership that continues to this day. Tapping our asset management and transportation industry expertise, Liquidity Services implemented a proven, standardized process to efficiently manage our client’s surplus vehicles. The process centered on AssetZone®, our proprietary asset management software. 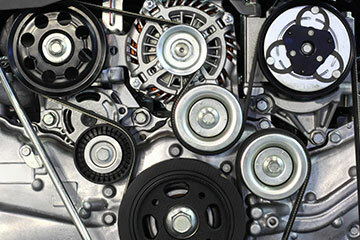 AssetZone empowered our client’s employees to easily identify, catalog, manage, and sell surplus vehicles. By tracking all surplus vehicles throughout their lifecycles, AssetZone also gave our client full transparency into its fleet, enabling informed decisions. Liquidity Services conducted AssetZone training for the client’s employees across all U.S. fleet sites to ensure appropriate use and consistent adoption. Employees cataloged all surplus vehicles in AssetZone, including detailed descriptions and photos. These entries automatically created auction listings on GoIndustry DoveBid, Liquidity Services’ leading online marketplace for capital assets. Liquidity Services then promoted our client’s trucks to over 85,000 surplus vehicle buyers, maximizing bids and recovery. As our client’s surplus management needs have changed, our program has evolved with them. In the early 2000s, the Department of Commerce launched a program that gave new-vehicle credits to companies that sold their surplus vehicles for scrap. Our client engaged us to help it capitalize on this unique opportunity by scrapping nearly 1,500 surplus vehicles and providing proper documentation for the U.S. government. Tapping our extensive network, Liquidity Services identified buyers across the U.S. to purchase our client’s surplus vehicles for scrap in bulk quantities. We worked closely with buyers to ensure they provided all documentation needed including certificates of destruction, photographs, and notarized statements. Over a year-long program, Liquidity Services sold all of our client’s surplus vehicles identified for this program for scrap, helping it obtain valuable new-vehicle credits to invigorate its core fleet business. In 2014, our client’s surplus fleet management needs evolved further, and again Liquidity Services presented an effective solution. Our client had always used onsite staff to manage its surplus vehicles. After a cost analysis, however, our client determined that higher-value employees were involved in this process and that it could realize significant savings through cost avoidance by moving the entire process offsite. Since 2014, Liquidity Services has handled the complete management of our client’s surplus vehicles at our five lot locations across North America. This includes cataloging the vehicles in our CAMI and TACS portals, de-identifying them, and supervising buyer inspections and pickups. We sell surplus client vehicles for maximum recovery through live and online auctions and our retail “buy it now” channels on our TruckCenter.com online marketplace. Auctions are ideal for high-demand vehicles, while private-treaty sales set a fixed purchase price for other vehicles. In the first six months since implementing the new program we’ve achieved excellent results for our client, selling hundreds of vehicles for maximum recovery through our multichannel approach. The new process greatly reduces our client’s direct involvement in surplus vehicle management, freeing up resources to focus on core business. By efficiently removing surplus vehicles from client lots in an average of just ten days, we create valuable space for new vehicles to help our client maximize product distribution, sales, and profits. In nearly 13 years of partnership, we’ve sold thousands of surplus vehicles for our client, generating millions in ROI. Yet what has defined this partnership is Liquidity Services’ ability to address our client’s frequently evolving surplus vehicle needs. Our expertise and partnership capabilities allow us to quickly, intelligently implement solutions that overcome our client’s challenges. This adaptability has helped our client continually turn surplus vehicles into recovery to fuel its core business while successfully navigating a competitive, shifting fleet landscape. That’s why this leading food company proudly calls us a partner. A leading global package delivery and logistics provider received a large number of leased vehicle returns in its Truck Fleet Leasing division.